In our experience, protecting an idea is very important. If you have a patent, registered design or trademark, you can decide who to give licence to. In this way, you can control who is authorised to use your patented invention or registered design. One of the most valuable brands in the world today is Apple. It grew through the protection and development of its intellectual property: the trademarks, designs, copyright and patents. When it comes to protecting ideas, there are many different ways to do that depending on your invention and the markets your company operates in. In this blog we will show you 7 different solutions. Concerning patents, as most national laws accept the rule 'first to file', it is advised to file your application as soon as you can. Otherwise either it gets published and will become part of the prior art, or someone else will claim the invention instead of you. Patenting can be an expensive business. As with any investment, the risks and benefits need to be weighed up carefully. However, patenting is advisable in any country where an invention can be expected to yield significant economic benefits. It makes sense to file a European patent application rather than national applications when protection is sought in at least four European countries. The European Patent Convention has established a single European procedure for the grant of patents on the basis of a single application and created a uniform body of substantive patent law designed to provide easier, cheaper and stronger protection for inventions in the contracting states. The 38 contracting states are: Albania, Austria, Belgium, Bulgaria, Cyprus, Croatia, Czech Republic, Denmark, Estonia, Finland, Former Yugoslav Republic of Macedonia, France, Germany, Greece, Hungary, Iceland, Ireland, Italy, Latvia, Liechtenstein, Lithuania, Luxembourg, Malta, Monaco, Netherlands, Norway, Poland, Portugal, Romania, San Marino, Serbia, Slovakia, Slovenia, Spain, Sweden, Switzerland, Turkey and United Kingdom. Thus, by filing a single application, you can obtain a granted patent in any of the above countries. Obtaining a granted European Patent is quite difficult, your invention will be thoroughly examined. However, investors love European Patents, because it means that your invention have met the strict requirements. Filing a provisional application may be the best idea, if USA is an important market for your company and you are looking to receiving investments or meet investors in a short time. There are many benefits of a provisional application. Few of the advantages of the provisional applications are the low official fee and the easy preparation. The provisional application does not have to include claims, but do not forget to disclose every important technical detail and feature of your invention. Provisional applications are also excellent options when the inventors are continuing their work on their invention. Another important benefit is that the USPTO (United States Patent Office) will not do anything with the application. Only non-provisional patent applications are examined. When filing a non-provisional application in 12 months after the provisional (disclosing the same invention, of course), you will be able claim the priority of the provisional application. This means no more official fees and no additional attorney service fees unless and until you decide to move forward. Thus, you can lay the foundation for obtaining a patent, have a 'patent pending' status and conserve funds in the process. It is critical to disclose as much as possible in the provisional application, because you only get the benefit of an earlier filing date (the entire purpose and benefit of a provisional filing) if it was disclosed properly. As you can see, a carelessly prepared provisional application is a nothing else, but a complete waste of time and money. A design protects the appearance of a product and is intrinsically linked to a product. If there is no product, there can be no protection, so you cannot apply for a design, if your idea is a business method or application procedure. However, if you have a product, or even graphical icons, you are good to go. Because any industrial or handicraft item including packaging, graphic symbols and typefaces qualify as a product. You can apply for a design protection that covers the whole European Union, so by filing a single application and paying one official fee to the European Union Intellectual Property Office (EUIPO), you obtain a registered design in 28 countries. A registered design is really a cost-effective option, but do not forget the requirements: The design regulation requires your design to be new and to possess individual character. Owning a registered design gives you and your competitors a clear indication of what has been designed and when it was done. The right is renewable for up to 25 years and can become your or your company's iconic asset. The more attention businesses pay to design, the more successful they are. Growth for companies that value design is 22% higher than for those that don't. Copyright protects creative and artistic works such as literary texts, musical compositions and broadcasts against unauthorised copying. These works are protected automatically upon creation. Works being created in a member of the Bern Union enjoy protection in Hungary as well. Even though registration is only voluntary, it is recommended, as it makes easier to prove the validity of copyright. Similarly, registration is also recommended in the United States. It can be sustained voluntarily with depositing one copy of the work. Furthermore, the American Copyright Act establishes a mandatory deposit requirement for works being distributed in the country. It is very important to file your application before publishing your idea. However, startup companies and many inventors do not have the resources to file an international application, or even to ask a patent attorney to professionally draft an application with claims. This is the time when our free online tool Start Patent comes handy. The software provides you with guided questions to help you process information about your invention. Patent descriptions you create with our software can be submitted to the Patent Offices. After you filed a patent application, you get at least a provisional protection, thus, you can be sure that your invention is protected when you negotiate with potential investors. Once investors are financing your product, you will have enough resources to hire a professional patent attorney for a professional quality patent application. The Patent Cooperation Treaty (PCT) assists applicants in seeking patent protection internationally for their inventions, helps patent Offices with their patent granting decisions, and facilitates public access to a wealth of technical information relating to those inventions. By filing one international patent application under the PCT, applicants can simultaneously seek protection for an invention in a very large number of countries, the number of countries is 152 currently in 2017. Filing can be done online, in English. PCT application is recognised by the investors worldwide. The PCT is used by the world’s major corporations, research institutions, and universities when they seek international patent protection. It is also used by small and medium sized enterprises (SMEs) and individual inventors. Your international patent application, provided that it complies with the minimum requirements for obtaining an international filing date, has the effect of a national patent application in or for all PCT Contracting States. After filing the PCT application and paying the necessary filing fees, in most cases there will be no other official fees for 30 months at all. Also, there is not much for you to do after filing. This means that after filing, instead of fighting office actions and paying high amounts of different fees, you will be able to spend your time and money on developing and advertising your product, find investors and deal with the business itself. With the PCT procedure you have 2,5 years to figure out the next step, which countries to choose in the national phase. If Europe is an important market for you, we advise to file a European Union trademark, which is valid in all 28 countries of the European Union. For a single filing fee you can have a registered trademark for 10 years. 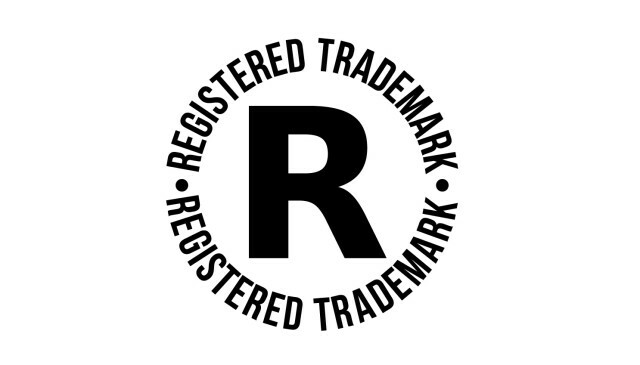 The greatest benefit of having a registered trademark is that you can renew it unlimited times. As a result, your trademark becomes more and more valuable. There are brands that have been protected by law for more than hundred years now. Do not forget to keep your idea secret before filing it to any patent or trademark office. If you are unable to do so, ask the other party to sign a non-disclosure agreement (NDA), also known as a confidentiality agreement (CA), which can protect any type of information that is not generally known.